Nothing would make me happier than to see the Super Bowl’s score mirror these numbers. It is not that I am a devoted Eagles fan. It is instead that I always passionately root against the Patriots. 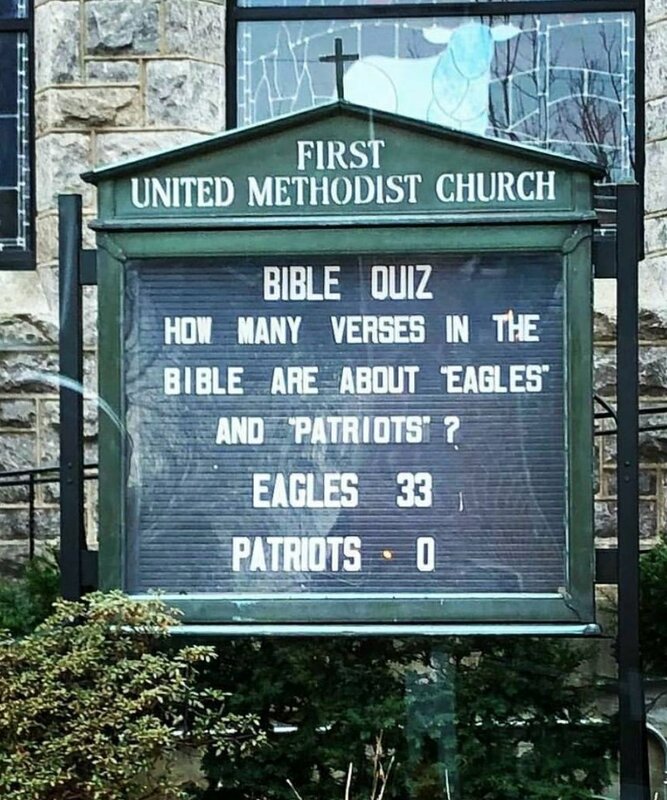 I realize that many Giants fans dislike the Eagles even more than the Patriots. My disdain for the Patriots, however, is most profound. It does not even matter that Brady went to Michigan. How many more championships do they need to win before Brady and Belichick can retire? They have already proven their football acumen and machismo many times over. And they will undoubtedly be inducted into the Football Hall of Fame. Even definitive proof that they have bent or broken rules will not block their admittance. So let me look away on that future day when they are inducted. This Sunday, during the Super Bowl, I will be cheering loudly for the underdogs. Even though football and the Super Bowl are not that important, they come as a welcome distraction from the world’s troubles and where I can comfortably hold on to insignificant grudges and outsized passions. 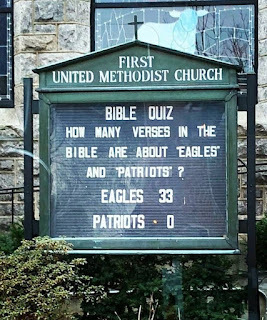 Come Super Bowl Sunday, I will be hoping and praying that the Bible offers hints of victory for the Philadelphia Eagles. That would of course be an absurd notion. Or would it? Some most certainly believe that the Bible predicts the future. Everything that happens is pointed to by our sacred text, people contend. This is the fascination with the so-called Bible Codes or with the evangelical love for the modern State of Israel. The problem with this view is that the Bible does not speak with one voice. My teacher, Israel Knohl, calls the Bible a divine symphony. It is a potpourri of voices. Sometimes they appear in sync and other times not. Sometimes one voice rises above the others. Other times it is a discordant mess. And this is the central dilemma. To which voice do we pay attention? Which verse makes music in our ears betrays our theology. An example. The Bible states that the land of Israel is given to the Jewish people alone. It also commands us to love the stranger. Whose voice do we bend our ears towards? The prophets admonish us to feed the hungry. They also prophesy that God’s wrath will be meted out upon Israel’s enemies. Is the stranger’s hunger a punishment or a command for me to open my hand? The Bible is at times a cacophony of voices. I am certain of the music. And yet I can rarely hear the violin over the cello or the clarinet over the tuba. I am convinced it is an extraordinary melody. I am sure the Bible is a beautiful symphony that I struggle still to understand. Through its voices I can make sense of my life, I can better understand the contours of my path, but I cannot know the future. All I can cherish is the symphony of voices struggling like me to grow closer to God. And come next year I will enter September with renewed hope. In the early fall there is always a glimmer of promise for New York Jets fans. It does not matter that Jets are nowhere mentioned in the Bible. Every season is a new beginning. Every year offers new hope. Let’s cheer for the underdogs. Go Eagles!